July 9, 2013 in News. Here is a summary of DWScript changes since the last update. Language enhancement are centered around several additions for enumeration elements and sets, as well as a standard Map() method for arrays. The JIT compiler also got more capable, and there were various improvements to the support libraries and compatibility with older (D2009) and newer (DXE3) Delphi versions. June 21, 2013 in News. For a couple months now, a JIT compiler has been available in the DWScript SVN for 32bits code. The JIT is meant to be transparent, that is, execution, debugging facilities and memory layouts are similar under JIT and interpretation, the only difference is the performance. The JIT also uses a hybrid architecture, which was designed to allow developing the JIT incrementally, which directly derives from my only working on it a few hours at a time, every once in a while. May 17, 2013 in News. 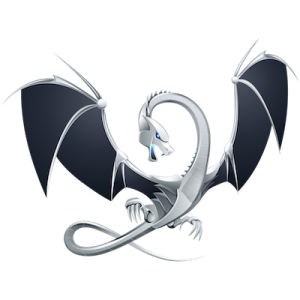 Very experimental support for LLVM in DWScript is now in the googlecode repository, thanks to the efforts of Christian-W Budde. This is the beginning of the opening of new realms of possibilities for DWS! LLVM support is currently centered around jit compilation, and at the moment doesn’t extend much beyond the needs of the Mandelbrot demo (see below for what is supported right now). April 24, 2013 in News. For a few weeks now, an experimental JIT compiler has been available in the DWScript SVN for 32bits code. A more detailed article into the hows and whats and WTFs will come later. Consider this article as an extended teaser, and a sort of call for test cases, benchmarks and eyeballs on the source code.